Crossing the border into and out of Point Roberts can be simplified if you observe these tips from the Point Roberts Taxpayer’s Association. Point Roberts has over a million people crossing in and out each year and it is the fifth busiest crossing on the US/Canada border. An International Border Crossing is part of everyday life for the residents of Point Roberts, it is the gateway to our exceptionally scenic, quaint, and quiet community. Point Roberts has always welcomed visitors from our neighbors in South Delta and beyond; and with the onset of the summer season, we wanted to present some pointers for making the process as easy as possible. The following tips are not in any particular order of importance, but they all contribute to a smoother and speedier border crossing experience. Always remove your sunglasses once at the booth. Lower both front and rear driver-side windows even when traveling alone. Turn the radio off so you and the officer can hear each other clearly. Hold up Nexus card (s) for the officer once at the booth. If traveling on a passport, have it open to the photo page ready to present to the officer. Answer questions in a straightforward manor and be specific, but do not offer more information than what is specifically asked. Where you are going? They may even ask for the address. What is the purpose of your visit? How long you are staying? How do you know the person you are visiting? Be prepared to open your trunk if requested and have it as clean as possible. Be aware of its contents, and be sure you have removed any prohibited items. Always declare the items you are bringing in. Always declare your fresh food items. Be aware that changes to the list can occur. To avoid any violation, always declare all fresh food items. Then the worst that can happen is that disallowed items will be confiscated and destroyed. You can call with specific questions and speak with a Dept of Agriculture specialist at Peace Arch (360) 332-8511 or Pacific Highway (360) 332-2351. If in doubt about a specific food item or agricultural product, call in advance to ask before crossing the border. Don’t even think about bringing illegal or recreational drugs across the U.S. border, regardless of Washington State laws regarding the legalization of marijuana! Have a current rabies certificate in the vehicle when traveling with your dog or cat. Carry a parental consent letter if traveling with someone else’s children. Always remain calm and polite; try to avoid showing any irritation, no matter what! Especially for people staying longer or with vacation homes. Important: For Canadians who are frequent visitors or long-term visitors to Point Roberts, it is important to fully understand the following statement: The burden of proof that the Canadian citizen is not an intended immigrant (plans to make the U.S. his or her primary residence) is always on the applicant. There is no set period of time Canadians must wait to re-enter the U.S. after the end of their stay, but if it appears to the inspection officer that the person applying for entry is spending more time overall in the U.S. than in Canada, it will be up to the traveler to prove to the officer that he or she is not a de facto U.S. resident. Proof of residence in Canada (copy of mortgage statement, rent receipts, utility bills). It is recommended that frequent visitors to Point Roberts keep copies of such ties to Canada in their vehicle and present them upon secondary inspection if necessary. If it is determined you do not have sufficient ties and equities, you may come back at another time with additional proof of ties to Canada. Essentially, CBP is trying to determine if you are spending the majority of your time in Canada and that Canada truly is your established home. 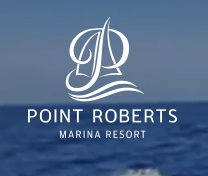 If you are renting a vacation property in Point Roberts it is recommended that you have a copy of your rental agreement or receipt that shows the dates of the rental. If you feel you have been wronged, ask to speak with the supervisor on duty. You may request permission to pull into the inspection lane to park and enter the building. Should you prefer to return later, be sure to have the date and time of the event in question. A community liaison committee exists to facilitate communications with CBP in Point Roberts. Members of that committee will try to answer general questions or forward concerns to CBP submitted to us by email at PRBorderQA@gmail.com. Thank you Point Roberts Taxpayer’s Association and community liaison Sonya Liu for this list.